Surgery of the nose can help improve facial features in a number of ways. The removal of a “nose bump” to smooth out the appearance of the bridge of the nose or straightening the bridge is a common process for appearance . Other procedures may include or involve narrowing nostril width or fixing the angle between the nose and mouth. Correcting birth defects, injuries and those that affect breathing conditions such as a deviated septum or sinus conditions may also be beneficial. 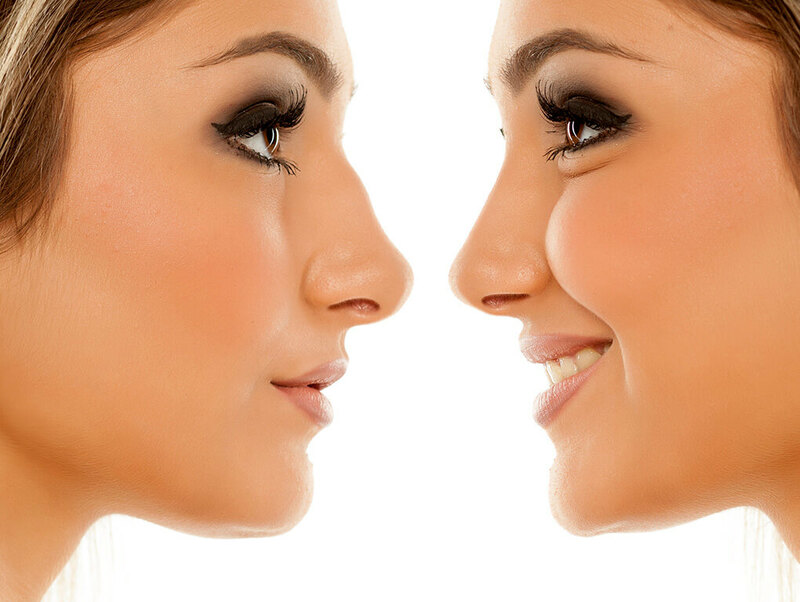 If you want to enhance the appearance of your nose, rhinoplasty may be a good option for you. The size of your nose in relation to your facial balance, nasal width, profile, bumps or depressions are a few of the concerns that may lead you to the consideration of rhinoplasty. All cosmetic procedures are performed on an outpatient basis in our state of the art in-house operating suite. Rhinoplasty is performed with a general anesthesia, so you’ll sleep through the entire operation. After your procedure is completed, a splint and/or packing along with bandages will be applied to the patient’s nose. This is done to protect the nose while it is in the process of healing. Your care giver will be instructed on the care of your nose. You may experience some swelling, bruising and discomfort that can be controlled by medication. Once your splint and packing have been removed you will be ready to return to work and most of your normal activities. Healing and swelling will continue to go down over the next several weeks. You will need to be protective of your nose when doing any physical activities over the next several months. Once you are healed, you should notice improved balance in your facial features. Your nose will be more refined and your appearance enhanced.